This luxury itinerary takes you through the most iconic India destinations on an adventure of discovery from Delhi, to Agra where you’ll find the Taj Mahal, to the Pink City of Jaipur before spending five days in the Himalayan resort of Ananda where you’ll unwind and experience a retreat like no other. You’ll stay at some of the most luxurious hotels in India on this multi-centre holiday to India. 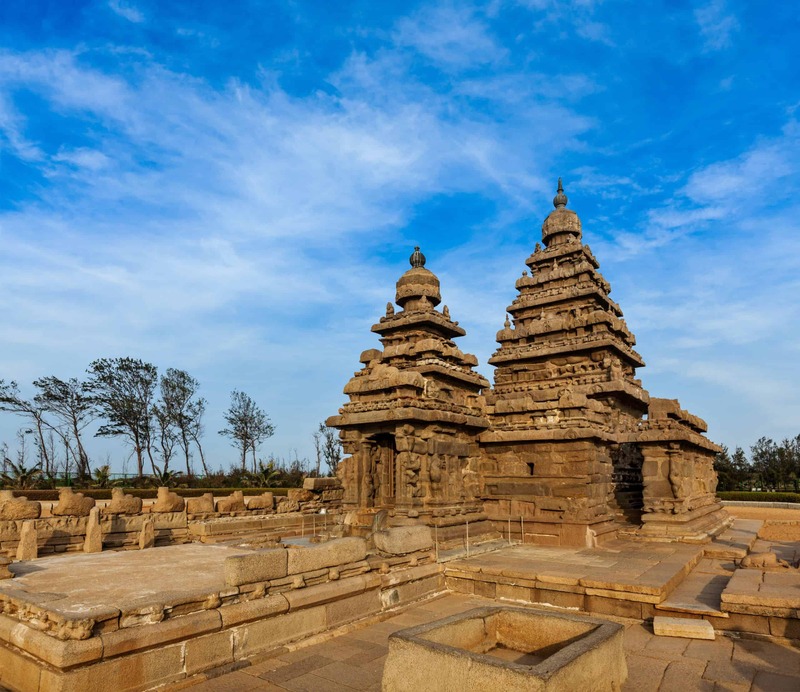 Visiting the best Indian historical sites including the Taj Mahal, you’ll travel in comfort between destinations and enjoy the excellent service and hospitality India has become renowned for in its luxury resorts. Upon arrival into Delhi, you’ll be met by one of our team who will take you to your luxury Delhi hotel. This afternoon your car and driver are at your disposal should you like to explore. Delhi reflects the legacy and heritage of Mughal Delhi which is popularly known as Old Delhi. Pulsing with energy and colour, Old Delhi is laced by a maze of narrow lanes where you get a glimpse of many contrasting flavours from expansive spice markets to wedding bazaars, to graceful architecture. In contrast to Old Delhi – the imperial city of New Delhi created by the British – have numerous fine colonial structures, magnificent buildings and wide boulevards laid according to the master plans of the great colonial architect Lutyens. Old Delhi’s narrow lanes twist and turn between the tall, leaning buildings. You will witness the hustle and bustle of thronged bazaars and pass the famous Red Fort surrounded by shops and bazaars, the Jama Masjid with its tapering minarets and wonderful marble domes and Chandni Chowk. In Old Delhi, you will also have an opportunity to experience a rickshaw ride. New Delhi stands in formal splendour. It is a city of wide boulevards that offers ever-changing perspectives of Lutyen’s landscaped city. It is also a city known for its formal parks, magnificent Parliament Building, the Rashtrapati Bhawan and India Gate. In New Delhi, you will also visit Qutab Minar, the 72.5 metre high tower dating back to the 13th century, and Humanyun’s Tomb, which was built in the 16th century and architecturally considered the forerunner of the Taj Mahal. Later you will visit the Gurudwara (Sikh temple), which has one of the biggest (and cleanest) poor kitchens in Delhi and witness the hundreds of people that come to eat here each day for free. This morning you will be driven to Agra. 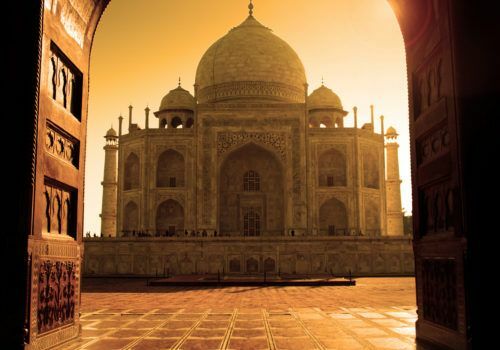 In the afternoon you will be taken on a sightseeing tour of Agra. The Mughal Emperor Shah Jehan was imprisoned by his son in Agra’s magnificent Fort. Here you will see the art and crafting of the white marble that has made the area so famous, the Pearl Mosque and the Halls of Public and Private Audience. In the evening you will be taken for a Kachpura walk – the walking tour provides a fascinating insight into traditional life in the rural village of Kachpura that overlooks the Taj Mahal from the opposite bank of the Yamuna River. The walk ends at Mehtab Bagh from where there are stunning views of the Taj Mahal standing majestically across the river. After time at the Taj, you’ll be driven to Jaipur. 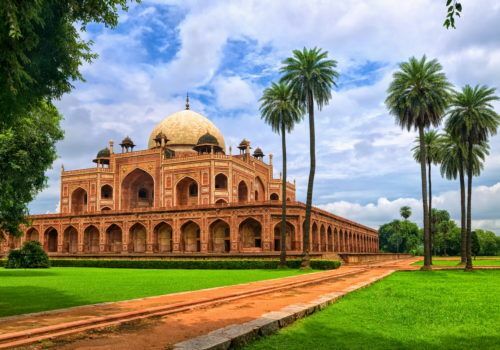 En route you will visit the deserted Mughal city of Fatehpur Sikri which was built by Emperor Akbar in 1569 and abandoned after fifteen years due to a scarcity of water. Here you will see the city’s many graceful buildings, which include the Jama Masjid, the Tomb of Salim Chishti and the Panch Mahal. Spend some time at your hotel in the afternoon and later take a walking tour through the narrow lanes and by-lanes of the old city. As part of the tour, you will also ride in a rickshaw. This walk gives you the opportunity to see life in the city away from the tourist areas. You will visit with craftspeople who use basic tools and ancient traditions to make the most extraordinary variety of handicrafts and household appliances; you will stop and chat with local families in their homes and share a cup of “chai” with them; along the way you will be introduced to the country’s delicious and aromatic street food; and will learn local religious rituals and legends when you stop at small shrines. During your Old City visit, you will also have a private blessing in a small temple. This morning you will be taken to discover Amer fort with your guide. Amber, the ancient capital of the region, still recalls its heydays in the majestic ramparts rising steeply along the contoured hillsides. Here, elephants still carry visitors in stately splendour to the Main Palace, through unusually high gateways, obviously designed to accommodate this archaic mode of transport. It is an extremely well-preserved building and very delightful to explore. Later you will be taken to the private estate of Dera Amer where a local family has rescued elephants from carrying tourists to and from Amber Fort. Here you will be taken for a ride through the forest passing temples and eventually make followed by a private dinner in the forest. The time here is entirely private and allows a chance to be outside the city and around the mightiness of such beautiful creatures as the Indian elephant. This morning you will fly to Delhi and connect to your flight to Dehradun. On arrival in Dehradun, you will be met and driven an hour to Ananda in the Himalayas. Stay at Ananda for five nights where you’ll have the choice of opting for their stress management, yoga or active packages. Each stay is accompanied by three meals a day, daily use of the Hydrotherapy facilities: Steam, Sauna, Chill Plunge Pool, Kneipp Hydrotherapy Foot Bath and Heated Lap Pool as well as the chance to enjoy the resort’s spa lifestyle and wellness activities like Yoga, Pranayama, Meditation, Vedanta, Fitness, Cooking demonstrations Lectures, Workshops and Excursions. On the final day, you’ll head to the airport for your flight back from Delhi and your onward flight back home.